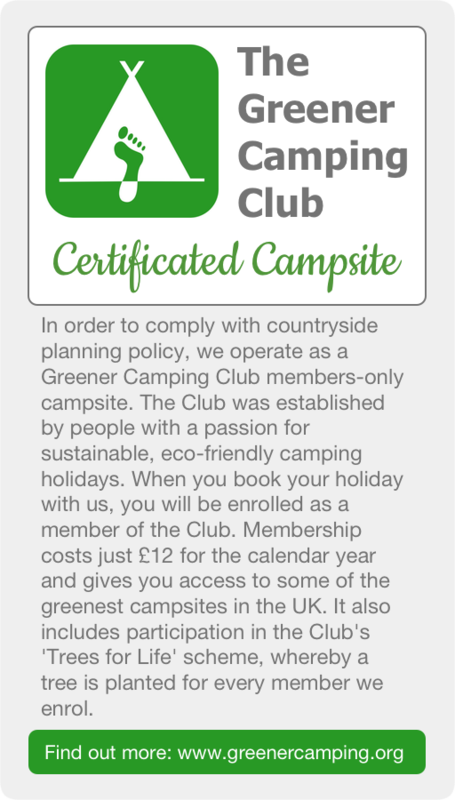 There is no extra charge for dogs, large tents, gazebos, awnings, pup-tents, trailers etc. Similarly there is no charge for bringing your kayaks, surfboards or bikes. All prices are inclusive of our lovely hit showers and toilets. Off Peak – Arrival any day. OFFER: Stay 4 nights or more (Mon to Fri) and get £30 discount! 4 x Family Bell tents (1 double, 2 singles – furnished) – can sleep up to 6 (extra beds £10 pn), and can be set up as a spacious couples getaway. £65 per weekday night for up to 4 people. Terms: deposit of 1 night stay to be paid on booking to hold the date. Balance to be paid 6 weeks prior to arrival. Refunds to be given in full if cancellation is at least 6 weeks prior to arrival. A 10% administration fee will be deducted if less than 6 weeks notice and no refunds within 2 weeks of the arrival date. Prefer to pay by BACS?